Arroyo Grande resident Stacy Halvorsen, 40, is accused of forging two checks — one for $2,135 in Oct. 2012 and another for $426 in May 2013. The nonprofit board that oversees the Exploration Station science in Grover Beach is examining an additional 16 checks. Investigators have yet to reveal details on the forgery charge. Grover Beach police arrested Halvorsen on June 5. On July 16, the nonprofit board met in closed session and chose to close the science center for two months and to cancel a fundraiser for the nonprofit as it conducted an organization review. The science center is primarily used by children for the purpose of learning about science and technology. As a result of the closure, the board laid off one paid staff member. Halvorsen, who previously was the other paid staffer, worked for the Exploration Station since 2012. Prosecutors previously convicted Halvorsen for writing checks with insufficient funds in April 2003 and Nov. 2004. 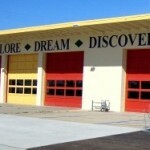 The Exploration Station is located at 867 Ramona Avenue inside the building that previously functioned as Grover Beach’s city hall and fire station. The nonprofit South County Family Educational and Cultural Center Incorporated oversees operation of the facility. Subjects: Arrest Arroyo Grande embezzlement Grover Beach Grover Beach Police Department Nonprofit Organizations Science! Finally, a local group with some integrity. However, where were the checks and balances that allowed this embezzlement? So, they shut down the facility to what review internal processes to develop checks and balances? Good for them. At the City of San Luis Obispo, they would just give the employee a raise or promote them. Slocal, what is the rest of the story if you don’t mind sharing? There is so much more to this story. You need to start digging around the board Cal Coast. pushed everyone to quit for their own agendas. Stacy Halvorsen is only the tip of the iceberg. The entire community needs to start asking questions and doing what they can to keep this much needed center open. Maybe some heads should roll since they didn’t do a background check on Stacy to begin with. Please enlighten me; exactly what does this center provide that is ‘much needed’. I’m not being confrontational, I really don’t know.